Brighten any corner of the garden with these fabulous, colourful planters. A set of 4 colourful 'Bellagio' planters to brighten up the drab autumn. This set of four cheerful pots are ideal for showing off your bedding plants, and fabulously floral when filled with pansies or violas. 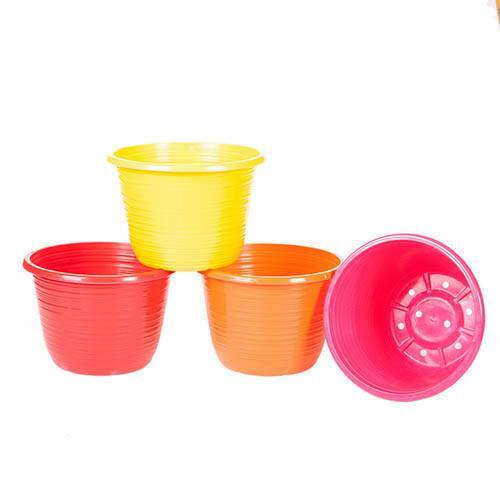 These 25cm (10in) planters are the perfect way to add instant impact to your garden, patio or balcony, they're definitely a dazzling reminder of summer - they made us instantly think of childhood outings to the coast with a brightly coloured bucket and spade!